Today I am going to be reviewing the Seiko SKX173. The SKX173 i s a unique diver from Seiko that offers an interesting propositon to the budget conscious consumer. Its position in the marketplace is hard to distinguish tho as the SKX173 is essentially the same as the lower cost SKX007 but with squared indices . in fact these are the same watches. The different serial numbers just signify where they are originall offered in the world. 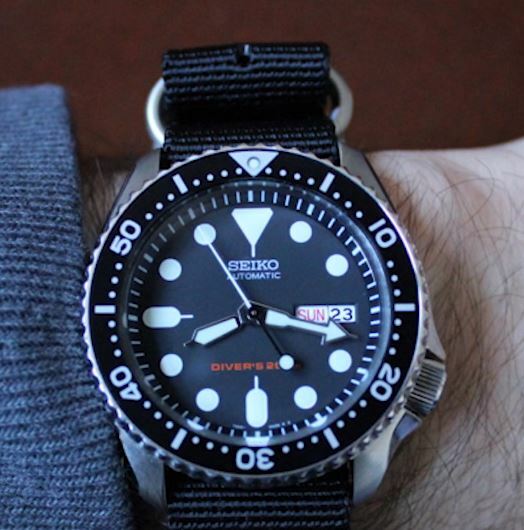 The Skx173 is the american version of the skx007, but you can buy both in the US. 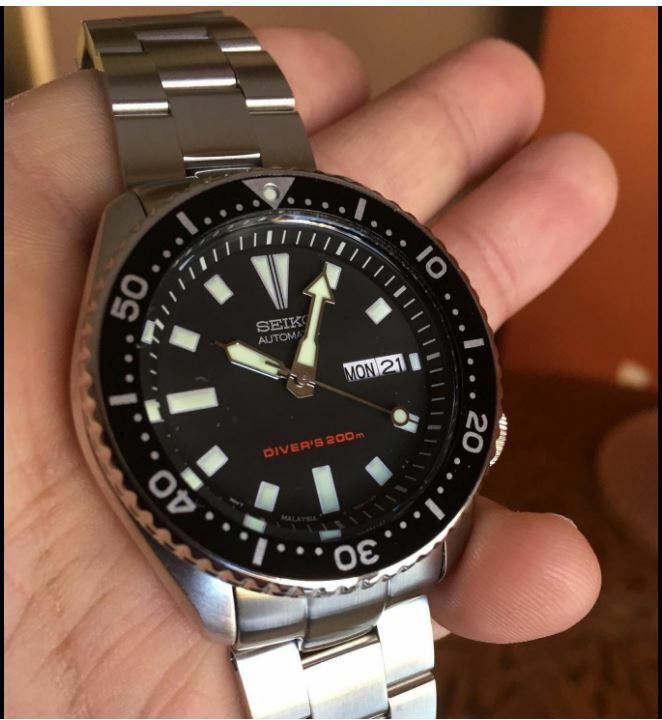 Seiko should get their stuff together on this one. Confusing serial numbers and pricing aside, i think this watch offers a lot for the price and it warrants a closer look at around $225 on the Gray Market. The SKX173 is put up against fierce competition being an older model. The SKX173 does not offer the same technoology that a lot of newer watches at this price point have for example the crystal protecting the face of the watch from daily wear is hard and lacks the crystal. Proprietary alternatives to sapphire glass while this is a significant upgrade from minderal crystal found on the cheap watched, the hard licks crystal is not as good as sapphire in terms of scratch resistance. Getting into the nitty gritty details of the movement, the watch features the synchro 7x 26 movement which was released in 1996. Because of the movements age, it does not hack or whine. As a watch collector, I constantly switch out my pieces and i foudn this particularly annoying. I could live with this drawback but modern alternatives to the SKX173 offer better movements for a lower price. So what does this watch offer as a consumer you may ask. The first the watch offers the kind of unique retro design which has made the SKX line of watches stand out through the years in addiation, the watches case and its finishing stand out adding to the iconoic look of the piced. Even the older movement, the watch is technically impressive at 200m of water resistance. The scredown crown, not to mention these movements have been known to go for decades without a servicing. Ultimately I feel the watch is a mixed bag in terms of what it offers to the consumer for the price the SKX173’s positives and negatives for this category are fairly balences. So i feel giving this watch a 7 and a half out of 10 points for value. Lets take a deeper look at the movement inside the watch. For the gears and technology which makes this watch tick. As i said in the previous section, the Seiko SKX173 contains the 7s26 movement which does not hack or hand wind. This means pulling out the crown will not stop the second hand, and unscrewing the crown will not line the watch. From a full charge, the watch can go for 41 hours before running out of power and needing to be wound again. This is a fairly standard power reserve time so I can not complain. The movement contains 21 jewels and the second hand operates or ticks at 6 ticks per second of 21600 ticks per hour. In addition to the 3 hands, the movement drives the day in date window at the three o clock position of the watch. These are easy enough to reset when the crown is pulled into the set position and they cleanly change over to the next day and date at 12 o clock. Ultimately the 7s26 movement offers decent value for the money and if it wasn’t compared to more modern movements, it would probably receive a higher score. That being said i feel comfortable giving the 7s26 movement inside the SKX173 a 7 our of 10 points for the movement category. 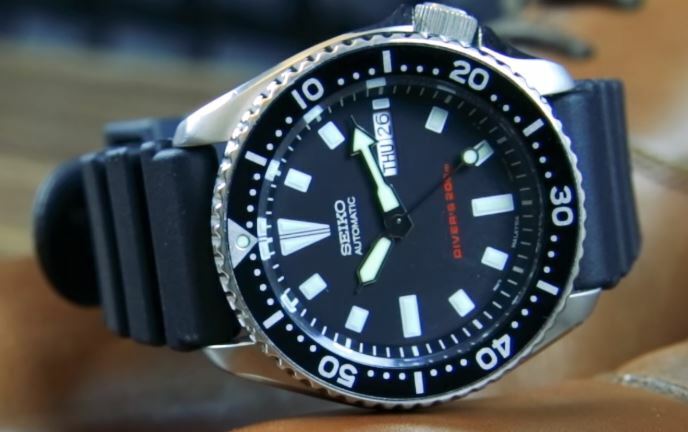 I hope Seiko chooses to refresh the SKX line with newer hacking and hand winding movements. The aesthetic design of the piece this is a largely subjective category and it may be the most important after all if you dont like the look of a watch, you probably shouldn’t buy it. So we urge you to just read alone with this category for yourself as i explain my score. Starting from the face of the watch and working out the dial design is above average for the price the indices filled with lume and outlined with white paint are in line with the dial and match the coloring of this watch nicely. Its worth noting that these indices design reminds me a lot of the tudor pelagos, a watch multiple times the price of this one. 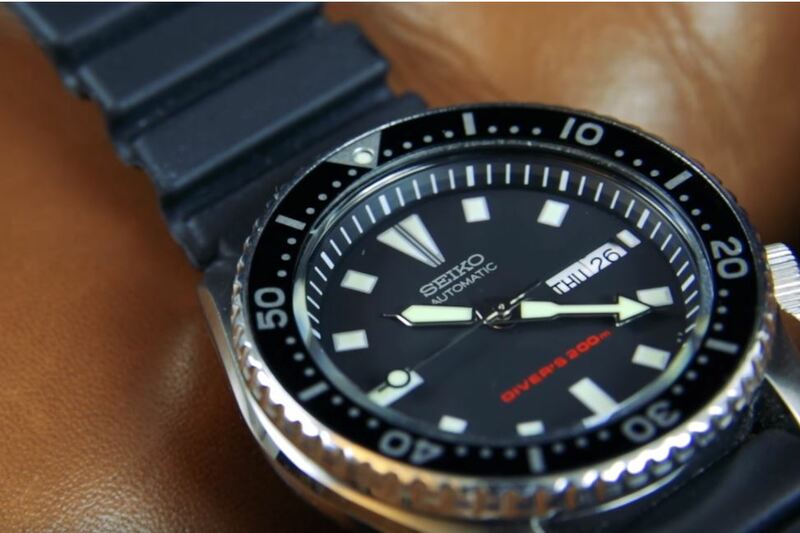 The Seiko logo painted just on the 12 oc lock is neat and precisely typed with a pleasing typsetting. Moving over to the three o clock position the date window is cut neatly into the face down at 6 o clock. The only splash of color on the dial stands out with the watches water resistance rating of 200 meters. The hour and second hands are aesthetically pleasing while the minute hand jumps out. Im not sure if this was designed this way to accentuate the diving functionality of the watch of if it was just for looks but it is growing on me. As ive worn the watch, the minute track runs along the outer ring of the dial. Its chambered at an angle while the effect of this coping can be off putting, it makes the launch easier to read. The bevel numerical text also matches the dial well. Id say its a nice fit. Finally the case shape and polishing design in addition to the crown protectors give the watch a solid too like look. All of these elevenths combine to give the watch the retro look i was talking about before and the watch really lights up on the wrist. Ultimately I thikn this is an iconic design that will continue to age well through the years. IU feel comfortable giving this watch an 8 our of 10 in the design category given the few small knit picks . This makes the watch face slight more prone to scratches. IT is also worh noting that the overall construction of the watch is pretty impressive. The watch is much heavier than you would expect and it feels like it would handle a rough environment well.